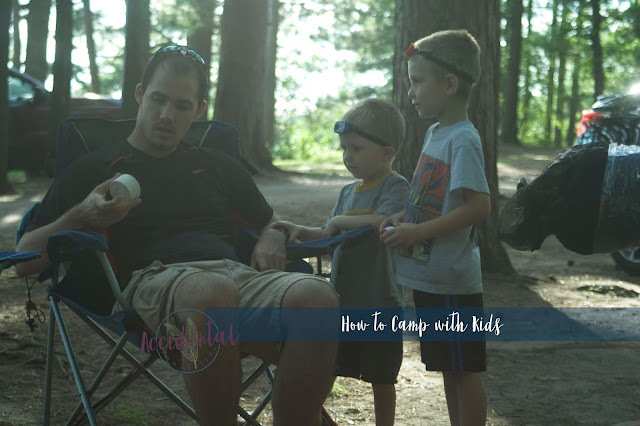 So, Monday I shared about how to prepare for camping, but if you noticed, there was very little about camping with kids. 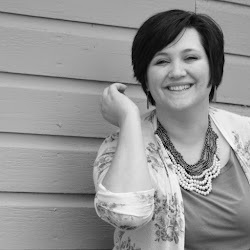 I wanted to save it and do a whole post on it's own since there is a lot to factor in. 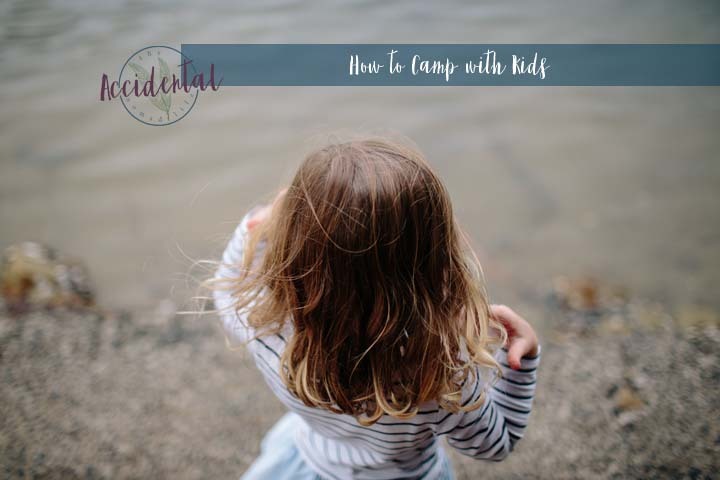 I wholeheartedly promote taking your kids camping. They are some of my own favorite memories of growing up. 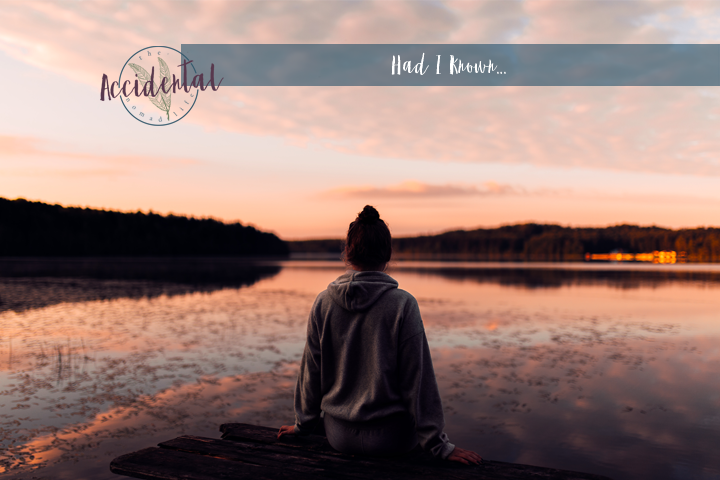 My family didn't do a lot of trips or vacations, I had a busy dad, a mom that owned a boutique AND we lived on a hobby farm - all of which are very beneficial and great learning experiences. So camping was made into an even sweeter experience for me. 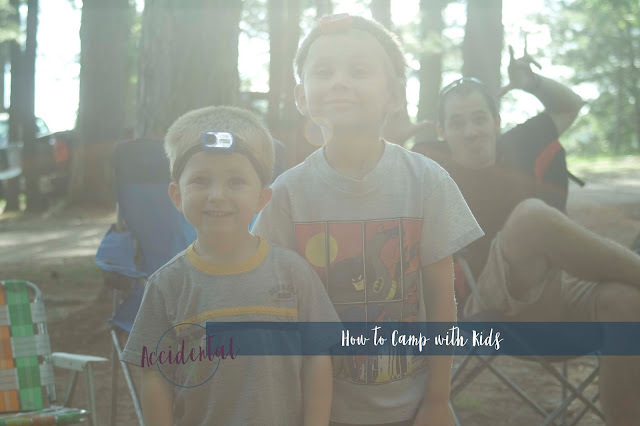 My husband and I both enjoy camping and we have a great group of friends that loves camping AND our kids so it just is a really special time all around. 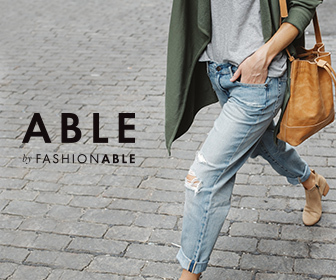 Be involved. 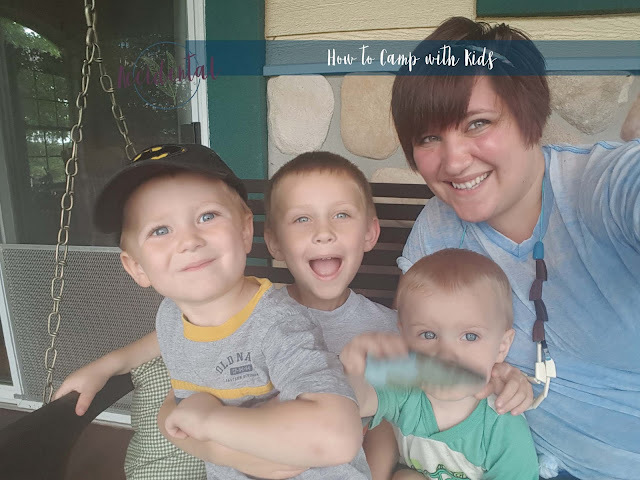 Let them discover on their own, but also teach them as they are discovering - show them what tree a leaf goes to, crouch down and watch the chipmunks or squirrels with them and talk to them about what the animal is doing. Don't be a stickler. 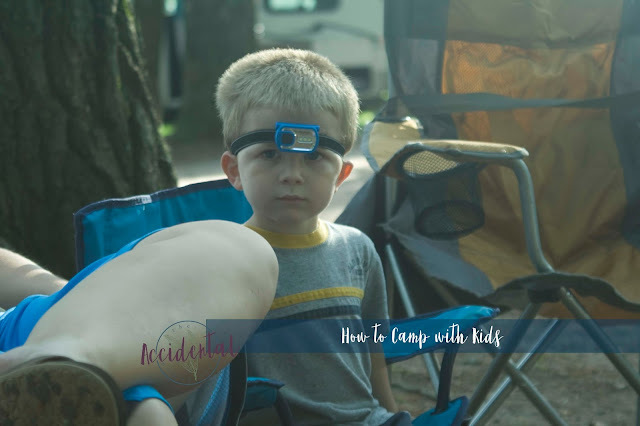 Camping is exciting, sleeping in a tent is exciting and they are not going to want to SLEEP...So let them stay up extra late - chances are they can get a little nap the next day when it's warmer and the outside hum of other campers will lull them to sleep...Let them watch you interact with other adults and teach them not to interrupt - I think all kids could use this courtesy in their lives. 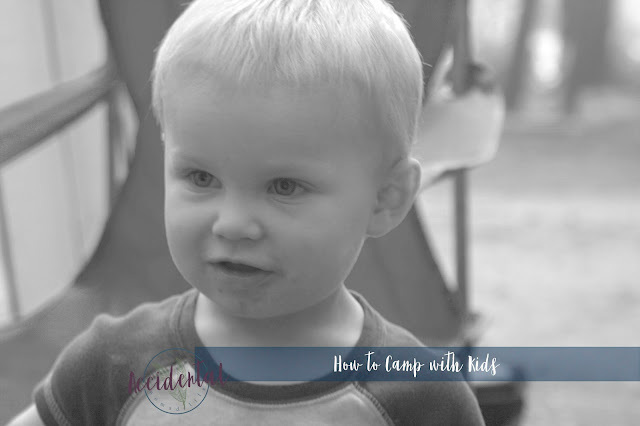 Let them discover - wander the limits, dig in the dirt, roast a marshmallow or hot dog, throw sticks on the fire...all of these things aid in their confidence, their cautions and their development of simple life skills. Bring things for them to play with but don't overdo it. You don't need to bring an iPad or a Tablet or a Nook, they are perfectly happy digging in the dirt, filling a bucket and dumping it on their lap. Bring a few tractors for them to play with and bring a few bottles of bubbles. 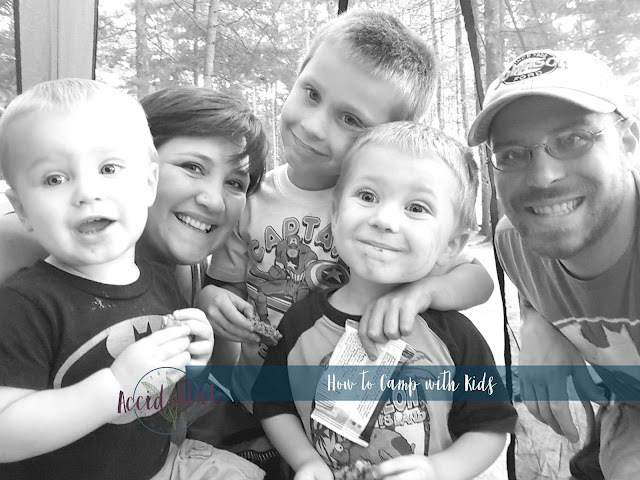 Feel the freedom to unplug and watch your kids be kids to the fullest. They love it. Bring a a few games that they can play with you, Uno is a great game that a pre-k-er can play since it's mostly matching colors and numbers! Zingo is also a fabulous choice and Uno Attack! gets the giggles rolling (plus the kids don't feel bad when they have to get cards because: noise and buttons). Bring a bed that the kids are excited about, we used their nap-mats the first couple of times we went but in July when we went we found that they were WAY too hot (their nap mats are fleece blankets tied around foam and a pillow) so we got them kid sized air mattresses - the first night is going to be magical with them excited about sleeping on their beds! This would also be a great choice if you have a few kids that you are starting young! Let them bring their favorite blankets, a pillow (if they need it), and a favorite stuffed buddy or two. The more like home it is for them, the easier it'll be to tuck them in. Bring a few favorite books. We have a couple of books from Ikea that are about animals in the forest that are favorites, as well as Curious George - he even has a camping one!!! I also pack this Bible with because when you're out in creation, what's better than discovering the Creator?! 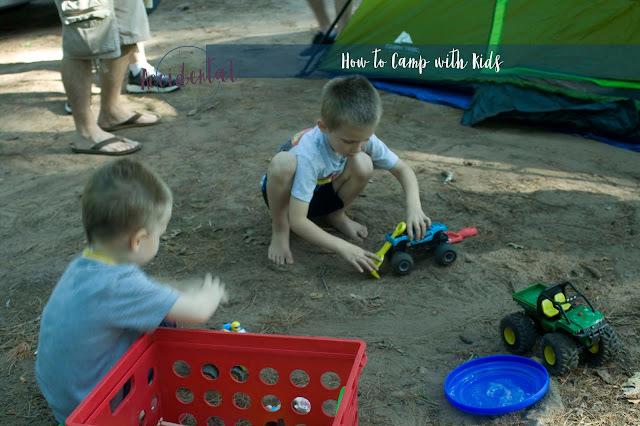 Make sure to have a pile of extra clothes...and jammies...We had a couple of wet jammies because they wake up, unsure of what to do so in a panic, they loose it...Here is permission to OVERPACK for your kids. It's worth it, especially if there is no washer/dryer where you're staying...There may be one where we are going, but I don't bank on it. I just make sure to bring a couple pairs of pants, two extra pairs of jammies (one for each night + two more), two or three sweatshirts...My theory is, bring one outfit for each day that is whether appropriate, two outfits that are for warmer/colder and two extra ______ beyond what was already packed. And undies, I bring ALL the undies. :) Can't go wrong there. You really don't have to get extravagant with your kids, they are kids, they are simple and they can handle a lot more than we give kids credit for. Focus on creating memories rather than keeping them on their schedule or entertained. 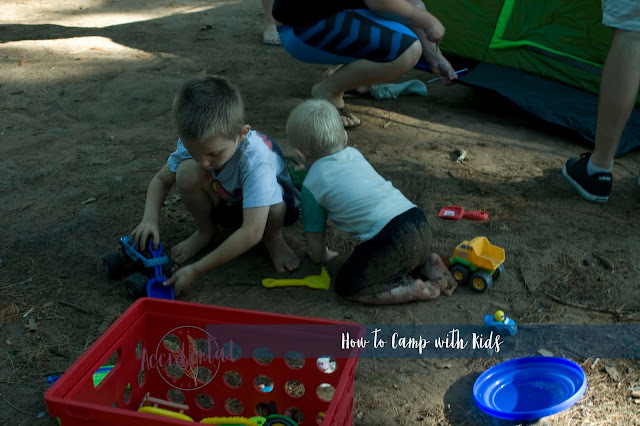 Do you have any tips for camping with kids/babies that I missed?